ZSL_logoThree of the world’s rarest tigers have been born at ZSL London Zoo, with zookeepers capturing their first moments on hidden cameras. The as-yet unsexed triplets were born to five-year-old Sumatran tigress Melati, on Monday 3 February 2014, after a 106-day pregnancy. 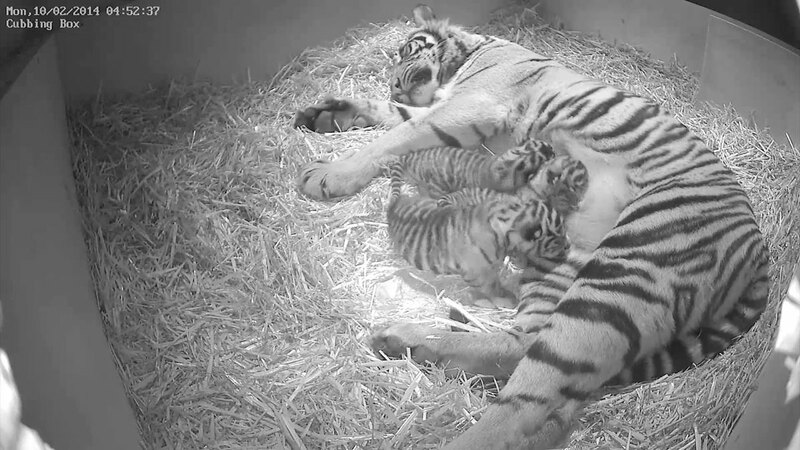 Born in the early hours of the morning and arriving within an hour of each other, the first cub arrived at 12:28am, the second at 12:59am, and the last was delivered at 1:18am, with keepers monitoring the whole birth using remote camera technology. With wild Sumatran tiger numbers estimated to be as low as 300 individuals, the cubs represent a huge achievement not just for ZSL London Zoo but for the global breeding programme of this critically endangered species. 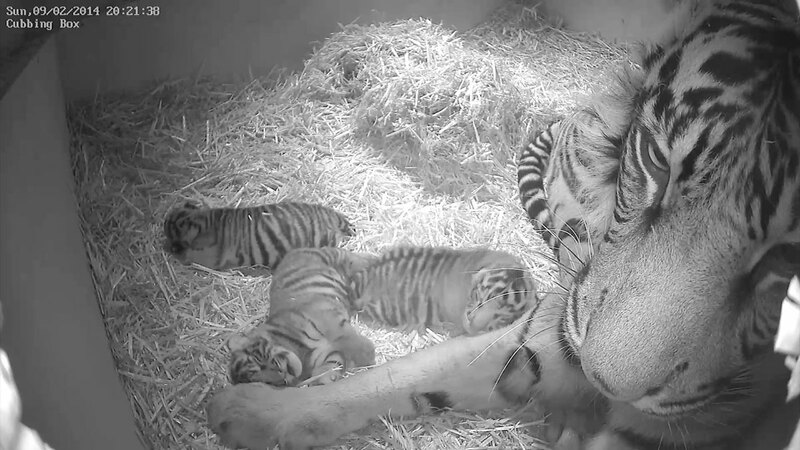 While mum Melati relaxes with her new-borns, visitors to ZSL London Zoo can still see six-year-old dad Jae Jae hanging out in Tiger Territory and zookeepers will be revealing exclusive footage of the cubs on ZSL’s YouTube channel throughout March. Founded in 1826, the Zoological Society of London (ZSL) is an international scientific, conservation and educational charity whose mission is to promote and achieve the worldwide conservation of animals and their habitats. Their mission is realised through their ground-breaking science, active conservation projects in more than 50 countries and their two Zoos, ZSL London Zoo and ZSL Whipsnade Zoo. Groups of ten persons or more enjoy 25% discount, if purchased online in advance.